MainOpEdsSpilling drops of wine at the Seder - for whom? Spilling drops of wine at the Seder - for whom? Praise and pride for Israel's accomplishments that takes into account the very real dilemmas we face as we approach the holiday of freedom. 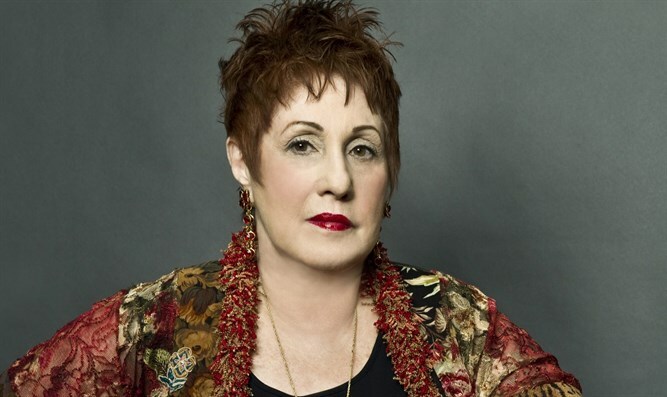 The writer is a Ginsburg-Ingerman Fellow at the Middle East Forum, received the 2013 National Jewish Book Award,.authored 18 books, including Women and Madness and The New Anti-Semitism, and 4 studies about honor killing, Her latest books are An American Bride in Kabul, A Family Conspiracy: Honor Killing and A Politically Incorrect Feminist. It is the Jews, not the ancient Egyptians, who have been ceaselessly afflicted throughout our history with plagues. Indeed, ten plagues would have been “dayenu” but, as a people, blessed by God, we have known many more. In addition to the relentless and bloody martyrdoms, ghettoes, exiles, pogroms, and Blood Libels in the pagan, Christian, and Muslim worlds, century after century, as promised, a remnant always managed to survive only to suffer a major Holocaust in the 20th century. Thereafter, Israel literally arose from the ashes—a miracle that may, perhaps, almost equal the parting of the Sea—but a miracle-country that has, nevertheless, been beset by non-stop stabbings, shootings, hijackings, bombings, military invasions, and terrorist attacks upon Israeli civilians which, even at a distance, fill me with horror, sorrow, rage, and a sublimely grave determination. I have been covering the "waterfront" on behalf of the Jews and of Israel for more than sixty five years, more intensely for the last 36 years. For those who do not believe this is possible: In 1948-49 I joined Hashomer Hatzair right in the heart of Borough Park. In 1951, I packed machine gun parts for Israel. And there I stood, on Brooklyn street corners, with my little blue and white tzedakah box. Sometimes, sheer battle fatigue has its way with me. I am—who isn’t?-- bone-weary from the non-stop UN generated Jew-hatred disguised as anti-Zionism; the lethal, global, anti-Jewish/ant-Zionist narratives trumpeted 24/7 in every language on earth; the boycotts and attempted boycotts of Israel by academics, artists, and even by Brooklyn food co-ops; the silencing of academic, pro-Israel truth-tellers by "Brownshirt" tactics: Jeers, shouts, spittle, and riots; a slandering so dangerous of pro-Israel voices on campus that the professors involved must take leaves of absence as a matter of physical and psychological survival; the utter hijacking of knowledge and of history. However, as we approach the annual miracle of our freedom, please allow me to note some small but sturdy miracles. Israeli genius rises to the occasion each and every time. The IDF has just discovered yet another malignant terrorist tunnel. Israel has been on the front lines for the entire world and now has the best airport security in the world. Security expertise and anti-terrorist counter-intelligence may be among Israel’s most important current and future exports. Israeli scientists and physicians—their country maligned in the pages of The Lancet--are pioneering the most extraordinary anti-cancer drugs and, haval, the most cutting-edge trauma and recovery treatments. Israeli diplomacy now enters a very "interesting" period. Alliances with Egypt and India are underway--and, given America's fatal and fading footprint, and dangerous alliance with Iran--potentially one with Saudi Arabia. In honor of Passover, I attended two very important shiurim delivered by Rabbi Benjamin Skydell. In the first class, we learned that the Haggadah evolved and that there were many variations; however, most sages agree that we left ancient Egypt “in haste,” very quickly. Well, I thought, God’s mighty miracles may proceed swiftly but we Jews spend thousands of years processing them, re-living them. The second class was about the Four Cups, the color and importance of red wine, and the meaning of blood. Whose blood are we spilling out when we dip our pinkies into the wine cup and begin: “Dam, Tzfardea… Is it the blood of Jewish babies that turned the Nile red—or is the bloody plague loosed by God upon the Nile? Is it the blood of the righteous, slaughtered in their beds and in their shuls—or is the blood avenged by the Redeemer? Often, always, when I write about a martyr, I hesitate. Should I write: “May her blood be avenged?” Or shall I say, more cautiously, more graciously, “May his memory be for a blessing?” What may a Jew safely write when we are surrounded by enemies and ourselves have been schooled in such high standards concerning mercy and compassion? Perhaps you may wish to ask this fifth question at your Seder. I know that I will. 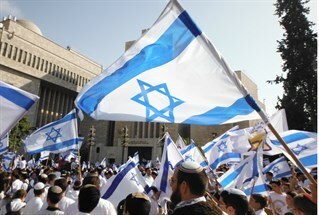 Chag Pesach Sameach to all Israel and to our friends and allies.